Neighborhood residential streets are quieter residential streets with relatively low traffic volumes and speeds. Though they have low levels of activity relative to other street types, they play a key role to support the social life of a neighborhood. Residential streets should feel safe, comfortable, and cared for. 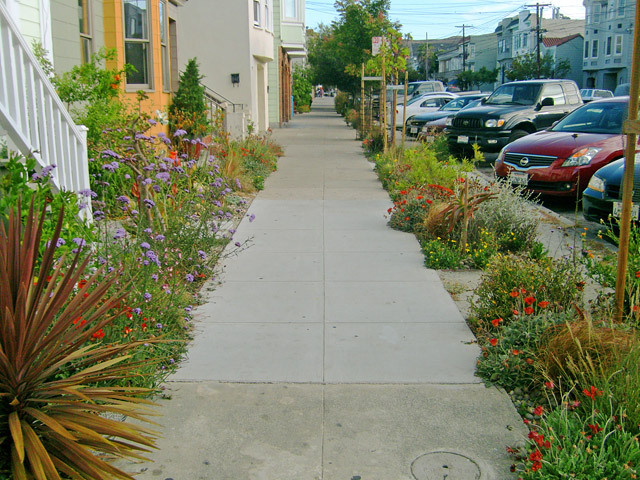 Residents may think of the street outside their home as an extension of their home or a neighborhood commons. 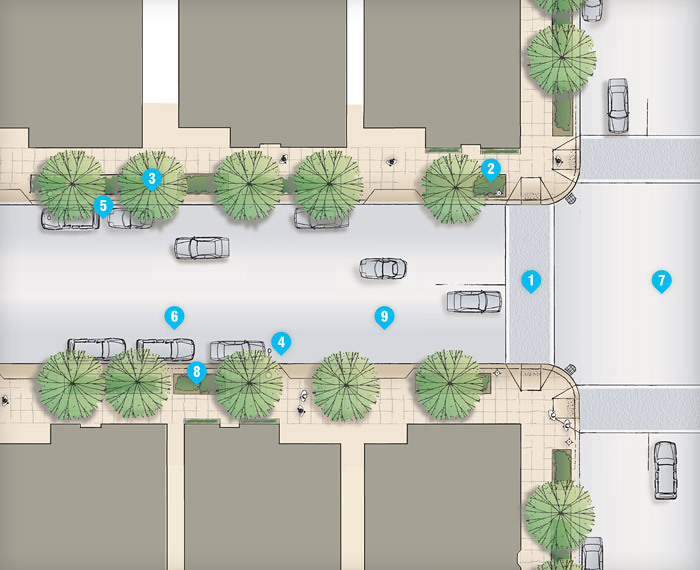 Improvements should focus on slowing traffic, providing usable space and amenities, and making improvements that encourage residents to take pride and ownership of the streetscape outside their front door. Neighborhood residential streets with wider crossings (generally > 40’), or higher traffic volumes and speeds (generally > 25 mph) should consider corner curb extensions and marked crosswalks. 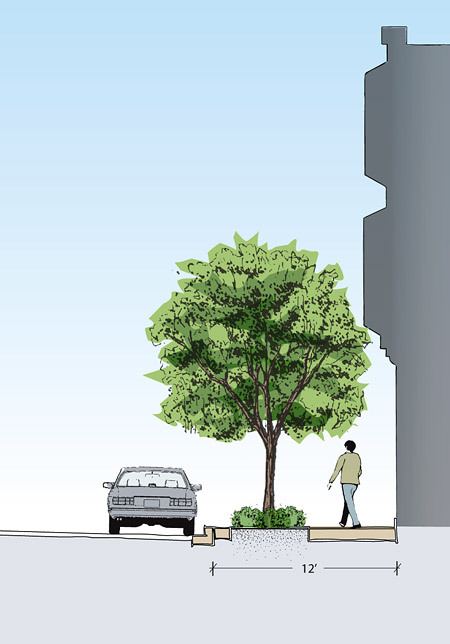 Neighborhood residential streets may include a continuous landscaped permeable strip in the Furnishings Zone.